The Compulsive Reader: The Fault in Our Stars Trailer! I've seen the trailer, just today actually. Totally pre-ordered it! Also, I'm in agreement with Jess (The Cozy Reader). I always have faith that I'll like John Green's books. I actually want to read this one because I love the title, even though Iv'e never been able to finish a JG novel before. I have so much love for the Vlog Brothers. I've been watching their YouTube posts for years now, and was lucky enough to meet both Hank and John at LeakyCon last year. 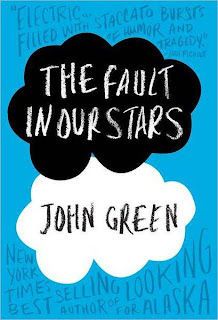 I've read some early criticisms that TFiOS is too similar to Katherines and Alaska, but I trust that John will bring us a book full of characters well worth reading and loving.